2:42 a.m. Yampa Fire Protection District firefighters were called to help a sick person in the 100 block of East First Street. 8:13 a.m. Steamboat Springs Police Department officers were called to a report of harassment in the first block of Park Avenue. Someone posted something on a website and got a barrage of replies that the person thought constituted harassment. 2:15 p.m. Officers were called to a report of a woman who received threatening comments on Facebook. 4:53 p.m. Steamboat Springs Fire Rescue firefighters were called to help with a gas leak in the first block of Sixth Street. 10:45 p.m. Officers were called to a report of a disturbance in the 300 block of South Lincoln Avenue. People got into an argument while playing a board game. 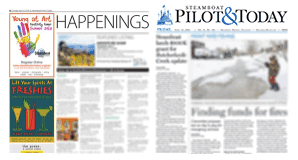 • Steamboat police had 14 cases that included calls for service and officer-initiated incidents such as traffic stops. • The Routt County Sheriff’s Office had 12 cases that included calls for service and officer-initiated incidents such as traffic stops. • Steamboat Springs Fire Rescue responded to three calls for service. 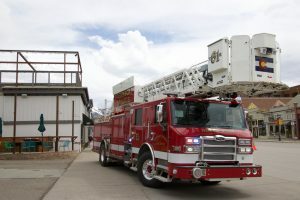 • Yampa Fire Protection District firefighters responded to one call for service. • Oak Creek Protection District firefighters responded to one call for service.